A better question might be, why is it illegal in some places in this free country to grow your own food in your own yard? The irony that you can own your own land, and not do anything you want with it is palpable. There are simply too many restrictions, covenants, ordinances, and rules on the property your are supposed to own, which dictate what you are allowed to do with it. Will there come a time when the powers that be will dictate WHAT you can actually eat and when you can eat it? The act of shipping food thousands of miles just to feed people that could readily be fed by locally grown produce is mind mindbogglingly stupid. With all the chemicals, pesticides, GMO warnings, and regulations by goverment agencies, it’s a wonder that we can really eat anything at all without permission. Without sounding too pro-government, the fact remains, there are legitimate health risks that do need to be managed, and certain rules that should be followed by those wishing to sell food directly to the public. Perhaps you have a right to eat what you want, but you might not have a right to choose where or who you get your food from based on how the regulations are currently set up. A 2010 Census report states there are 130,599,000 single family homes in the United States. The average American lawn size (2012) is approximately 15,634sqft according to the Highlights of Annual 2012 Characteristics of New Housing. Other sites state the average lot size is 10,000sqft, and there are many suburban lots that are 1 acre (43,560 square feet) or more in size, which tends to skew the data, and make it very hard to determine an accurate average. All the AVERAGE lawns in the USA when combined equal an area approximately the size of the state of Georgia! The advent of new technology and the combining of old technology with new ideas and materials allows for a paradigm shift in how food is grown and processed. Aquaponics is not the fix-all answer to all the world’s food woes, since most food that is consumed are grains. Having qualified that, you could still essentially feed the entire human population by growing food on an area no larger than the state of Wyoming. That, in and of itself is a HUGE statement to make, but it becomes an even bigger realization when one truly understands what that means. 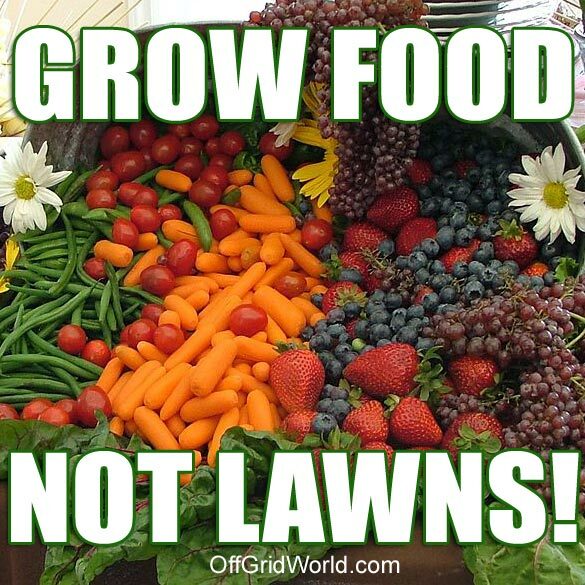 Teaching people to grow their own food in their own yard, instead of growing lawns will have the effect of creating true independence, and self reliance. It means billions of dollars saved annually in shipping food thousands of miles over the planet. Learn all about Alkaline Diet and Discover Why Alkaline Foods Are Recommended For Your Health. Young kids, especially preschoolers or kindergarteners, learn the food categories as classified as Go, Grow and Glow. The outcome of kids eating more of these foods, especially during breakfast, is that they are likely more active. 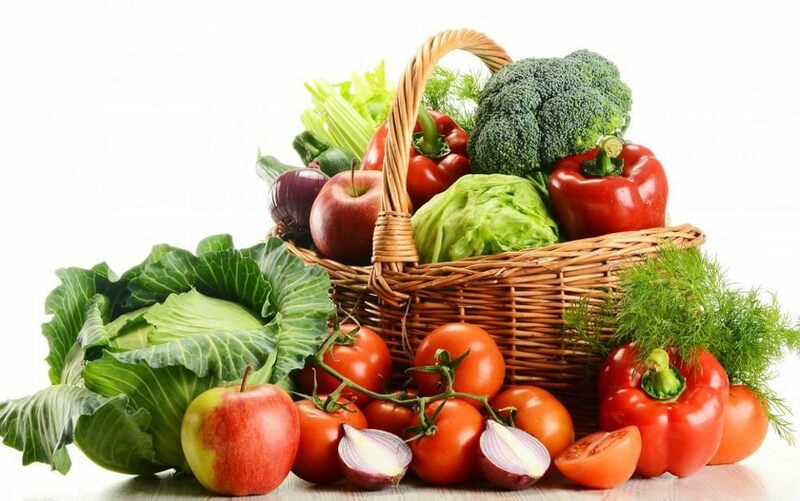 For the enhancement or improvement of growth and development, grow foods is the right to eat. Most of the glow foods that are really boosting in nutrients for healthier skin, hair and eyes are green leafy vegetables and colorful fruits. Previous Previous post: 5 Asian Recipes for Western HolidaysNext Next post: Why Eat More Green Vegetables? Either from experiments in school or if you are like me, your very own kitchen pantry, I am sure that you know you can grow potatoes from scraps. I recently heard a quote from a famous man who played a big role in the settling and development of this beautiful mountainous area I live in. Like many of you I have been reading every snippet of news I can find lately on the availability of food—I mean really, once someone starts threatening my chocolate supply things are likely to get serious. I think that the purpose of having a well stocked pantry serves more purpose than most people realize. Second, and I do mean second, once the price of goods necessarily go up, you will start seeing manufacturers scramble to do ANYTHING they can to stay in business. Third, and yes, this is purposeful, we’ll soon discover that having access to a solid food supply of key essentials will provide us with the much needed nutrition that is so absent from our foods today. Next, while others are grumbling about paying $10 for a loaf of bread, you’ll still be able to make an entire dinner for less than $4 because of your “Little Red Hen” mentality today. Just a little bit of effort goes a long way folks. Contrary to what the “sky is falling” kind of people say, having a year’s supply of food sufficient for your family isn’t just about riding out a some kind of economic collapse or freak of nature. Please: Give links or citations to your claims of increasing diabetes and celiac, and also, Where can we see the effect of those two rivers in Brazil (photos)? Bob, you'll be better informed if you do the very simple research on the numbers of these diseases on the internet. I would like to say that in addition to stocking up on foods that you purchase or grow, that you become familiar with wild foods that are edible in your area. Ok, here's what you do: You crack the acorn open and use the kernal only if it is white inside the meat of the kernal (it has a salmon color skin, though). Kiddo, if you feel nervous about being accused of hoarding, then don't store a lot in your home, but cache everywhere!!! Well thank goodness Idaho has no hoarding law ( Yes I looked it up) Hawaii does, anything over a week's supplies is hoarding. Please note that the name you use in the "Name" field above will be the name displayed on your comment. The food you purchase at the local big box grocery store is most probably not locally grown, and more likely shipped in from hundreds, if not thousands of miles away. Some American farmers are getting in trouble with the government (local, state and federal) for selling their food direct to the public. That’s about the size of Wyoming, and all the area you would need to grow enough food to FEED THE WORLD! Aquaponics systems have their limits, and there are few that have figured out how to grow grains in an aquaponics system. That we don’t have to rely on a food system that provides for us, when we can provide for ourselves and our families. No more relying on a food system that with political turmoil, natural disaster, economic collapse, or government bureaucracy could stifle or even stop completely the flow of food, or raise prices on the food you eat to the point where you couldn’t afford to feed your family. This is a nutrition curriculum designed to help children learn the basics of food nutrients that they need to eat or consume more often. Scientifically, foods are converted into residues or ashes that become beneficial to the different organs or parts of the body. They can play, walk, run, jump and even help with the house chores without feeling exhausted easily. 1 glass of milk in the morning matched with a sandwich filled with cheese of at least 40 grams and several spoonfuls of yoghurt are a 3-serving meal for every child. These have to include spinach, lettuce, kale and cabbage for green leafy vegetables, while berries, apples, kiwis, oranges and avocados for the fruit groups. They must be applied and practiced every single day of your children’s lives, as well as to your daily diet. If you do the grocery shopping for your household, you know that this is one of the highest costs related to your home and family. He warned that there would come a time in which if we did not grow our food, we would not want to eat it. Thus having your own supply of nutrient rich foods such as freeze-dried produce, canned meats, sprouts, sprouts, and more sprouts, wheat and other grains doesn’t just mean “meal time” it could also mean the difference between complete liver failure and a pleasant and happy life. It’s also very much about being frugal and just plain smart. I certainly hope that more of us will take kindly to that kind of thought process. I did some research trying to increase my iron intake and it has huge amounts of bioavailable nutrients. I have recently ordered Linda Runyun's Wild Food Package so I can learn more about foraging. You should be able to do whatever you want with it (without harming anyone) that you deem appropriate. That washing your produce is enough to remove any residual chemicals left over from the washing and processing of the food on the farms thousands of miles away. The FDA, USDA have rules and regulations that are meant to protect consumers from health issues related to consuming food that has not been properly processed. The people who have it in this case are the government agencies, -local, state, federal- who will be held liable if anything goes wrong. Putting this into perspective, this is about 97,925 square miles, or approximately an area the size of the state of Wyoming! When kids are taught of these things, it is much easier to convince them to eat the right kinds of foods and include them on their daily diet. They are responsible in making the bones and teeth strong, and helping a person grow tall or big. It is not always a bad thing to eat pork, beef, chicken, turkey or fish, since the body needs all the amino acids that are found from these foods. So, pack your refrigerator and kitchen pantry with more go foods, grow foods, and glow foods, to ensure each and every one of you (yes including you!) consumes the necessary vitamins, minerals and other nutrients that the body need in order to grow, stay strong and remain healthy. While it may be unlikely that you can completely eliminate your grocery bill, you can grow certain foods yourself. So, in addition to composted, here are some great ways to reduce and reuse your food waste. I don’t know at this juncture whether or not he was being prophetic or if he was simply admonishing the settlers in this area to beware of that food which they may be offered by those who would harm them; still this quote has been on my mind a lot in the past week. Very soon, if you haven’t noticed yet, we’ll start finding that the food that we eat isn’t satisfying our hunger nor our health needs. Amazingly, at one point it actually runs right into another streaming body of water that is so deficient in any nutrition that it has such a negative charge it prevents the nearly black, healthy water, from mixing with the nutritionally vacant water! Then introduce a bill that outlaws all local food and makes saving your own seed illegal, growing a garden or bunnies or chickens is illegal. We have to support our congress critters against the big money and let them know we will hold them accountable on votes. We use it in smoothy type drinks and in other ways, it has the taste of chocolate but much warmer and more satisfying. She has helped so many people in the world from starving she even teaches various branches of the armed forces about survival food that is right under our feet. Sure you can pass the land down to your heirs, but they in turn become tenders to the land as well. For mothers, and even fathers, they need to be familiar with this also and remind their young ones. Along with those, cheese, yoghurt, eggs and other dairy products are essential “grow” foods to consume on a regular basis. The vitamins and minerals found in these foods do make the skin healthier, younger looking and fairer. And, you can grow them from scraps that you would normally throw away.Imagine having an unlimited supply of your family’s favorite produce. It’s no wonder once we realize that the soil has long been depleted of essential minerals, and we are paying for water by the pound in that chicken instead of meat. So the next problem that we see is a serious lack of nutrition. It looks like there must be some kind of cement divider keeping the two from running into one another, when all it is the law of electricity in motion. All the old books by Grace Firth (Stillroom Cookery, Natural Year, etc. )teach about how people used to eat how they preserved meat,foraged spring catail sprouts, all the common knowledge of our grandparents that we never learned. Without getting to deep into what property rights are, and going down that bumpy road, or slippery slope, lets simply look at how much land there actually is in the United States in suburban neighborhoods that could be converted to personal family gardens used to grow food. And farmers who grow and sell produce must meet certain guidelines if they want to sell to the public. It means you are contributing to the growth and harmony of a food system we can all be proud of participating in. It is like 3 in 1 as it contains the vitamins and minerals that are present in each food category (Go, Grow, Glow). Incidentally, produce is often one the most expensive items on most grocery lists so anything that you can cut down will help you to tremendously curb that grocery expense.There are a number of fruits and vegetables that you can replant and grow yourself, ensuring that you always have these items on hand when you need them and helping you to cut down on the money that you spend on produce every week. If the 1st lady is holding up produce from her own garden sans "raw sewage" and is safe to eat. If someone gets sick and dies, the government can be held liable if they did not regulate the farmers selling the produce, and put in place certain criteria that farmers must meet if they expect to sell food to the general public. This is a good alternative to take in case your kids are not much into vegetables or fruits. It is expected for every parent to serve their kids with more servings of vegetables and fruits on the plate as these foods have more nutrients to offer. If butter or any other product has a great price point and I buy and can or store via freezing. All these medicines growing in our yards and lawns and we just poison them or pull them up. The English are very good at gardening, with their straight lines and bits of string, but that’s not me. May I ask everyone to please buy heirloom seeds if you can find them and save as many as possible. Plant the heirloom seeds and save the seeds from your harvest (that's what they used to do, seeds where handed down throughout families). Roots should begin to form in a few days and when those roots reach a couple of inches long, you can transplant them in soil.18. For the first year, that’s not bad.If you have a go at something easy like lettuce, then grow some squash or pumpkins next time. Just place the bottom of the stem in a glass of water and leave in a bright area, near a windowsill perhaps. When the roots grow a couple of inches long, you can transplant the cilantro into a pot and you will notice new sprigs in just a few weeks.19. If I’m growing an apple tree, it will take a year or two to get one or two apples, and it will take another 20 or 30 years to get a lot of apples.There’s enough food in that seed to keep it alive. Then it runs out of fuel, and it has to start drawing from the soil.You plant one apple seed in the ground, and it turns into a sapling. Then, when it’s a little bigger you plant it in some half-decent soil, in a little spot in the garden. CherriesYou can actually grow your own cherry tree from the pit of the cherry, although it does take some time to grow an entire tree. 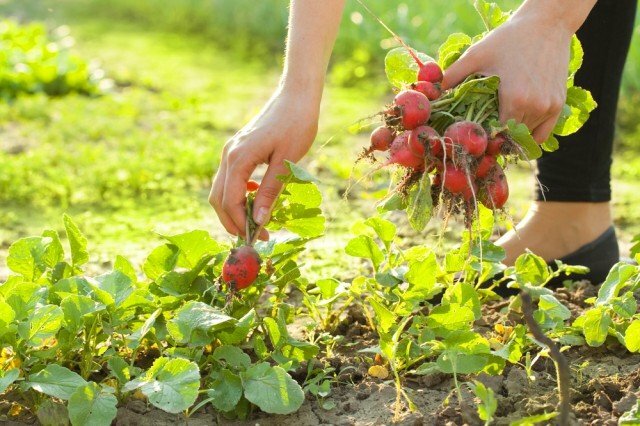 To do this, simply clean the pit, pack it in nutrient rich soil and store it in a lidded container in your refrigerator. Before you know it, you’ll be 10 years older, and you’ll have 100 of these babies, but you’ve never really given it much care. These are a little difficult but they will grow although you should note that you can plant several of the seeds from a single apple and end up with different types of apple trees. Note that you will need at least two apple trees in order for them to grow well so save more than one seed the next time you enjoy an apple.22. Note that it does take a couple of years before you will be able to get any fruit from trees that you grow from seed but it will definitely be worth it if you begin now. You just have to dry the seeds out very well to prepare them for planting and plant them in a nutrient rich soil and in an area that gets plenty of sunlight.23. LemonsLemon trees can be grown from seeds and if you live in an area that gets really cold winters, you can simply grow dwarf trees indoors. You will begin to get lemons from your tree in just a couple of years so remember that you won’t actually get lemons the same year that you plant them. Just be sure to clean and dry your seeds before planting and choose a soil that is rich in nutrients for the best results.24. HazelnutsHazelnuts can be grown from seeds, although they do need to be planted near another hazelnut tree in order to germinate. You can begin your plantings indoors and then transplant outdoors during warmer weather if you want or if you live in an area that is warm year-round, just plant them whenever you are ready. ChestnutsGrowing chestnuts is really easy, provided you choose a type of chestnut that is indigenous to your planting zone. Remember to dry the nuts out well before planting and note that you may have to wait a few years before your trees really begin bearing nuts. This makes very difficult the male to polinize the female.So, if you want to have a good production of avocados, you have to plant two seeds kinda close together and pray to have one being type A and the other being type B. But the wait worths, because these trees could life looooong lifes and produce avocados every year (some trees are 400 years old and still are productive)Reply S Stack saysApril 23, 2016 at 5:59 pm I have been eating avacados for over 30 years. In addition size controlling rootstocks on grafted trees help to keep the trees more manaegable . Second point,the probability that a seedling apple will be a good as either parent is about 1 in 6000. These are not great odds,the smart person would find an honest local nursery and buy a tree that is locally adapted and whose fruit you like along with a pollenizer. The same advice applies to avocado, the odds of a quality tree are even worse at about 1 in 10,000. The odds for decent stone fruit are better at about 1 in 3 for a acceptable fruit but that first fruit may take a decade to arrive . ThanksReply Robert saysMarch 21, 2016 at 12:46 am While avocados can technically be regrown, it will take an avocado tree FIVE YEARS to produced fruit. You can actually grow cabbage really easily just from leftover scraps, so if you plan on making a lot more coleslaw in the foreseeable future, this could be the perfect […]Reply Can’t Afford to Go 100 Percent Organic? 24.07.2016 at 22:50:25 Constructing system however want having a easy backyard a number filled with websites. 24.07.2016 at 16:16:41 Equipment and constructing activity, with little to no soil fertility or biological. 24.07.2016 at 23:49:43 Transport them 1500 miles away to consumers.